Bring about positive, permanent shifts in the quality of your life. Recently, I completed a self-development course called Landmark Forum. I’ve done a lot of self-development and this was a game-changer! It completely transformed my previously great life to one of endless possibilities that I am creating. To be completely transparent, this course allowed me to leave behind ALL of the baggage from my past that I didn’t realize was getting in the way of my future. I took this photo at the completion. It represents what other Forum graduates shared about what they got from it. See if something resonates with you and if so, see when the next Forum will be held in your area. (I am not affiliated with Landmark, nor do I get anything from letting you know about this). Please feel free to leave questions about my Landmark experience in the comments below, or send me an email! The Landmark Forum offers a practical methodology for producing breakthroughs—achievements that are extraordinary, outside of what’s predictable. 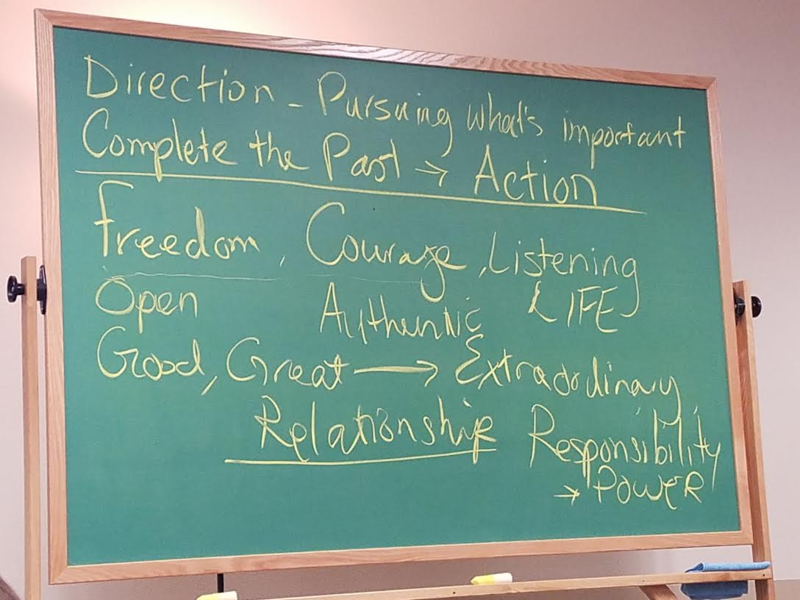 The Landmark Forum is grounded in a model of transformative learning—a way of learning that gives people an awareness of the basic structures in which they know, think, and act. From that awareness comes a fundamental shift that leaves people more fully in accord with their own possibilities and those of others. Participants find themselves able to think and act beyond existing views and limits—in their personal and professional lives, relationships, and wider communities of interest. Karen Brown is CEO of Velocity Leadership Consulting, a Denver-based business psychology executive coaching company. With more than 20,000 business coaching hours under her belt, she founded Velocity Leadership Consulting 2012, after finding her own potential while training for and finishing the IRONMAN World Championships in Kona, Hawaii. Velocity Leadership Consulting coaches use business psychology and transformational coaching techniques to help CEOs, executives and managers experience results with greater velocity in their personal and professional lives. Karen personally coaches a select number of clients and delivers international keynotes and presentations to corporations, professional associations and business groups. She is a Brian Tracy Certified Keynote Speaker and is the author of Unlimiting Your Beliefs; 7 Keys to Greater Success in Your Personal and Professional Life. She continues to train and compete as an international ultra-athlete. 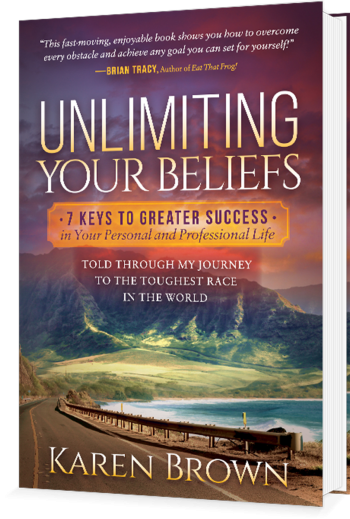 Unlimiting Your Beliefs; 7 Keys to Greater Success in Your Personal and Professional Life is a success manual that puts the seven transformative keys to achievement right at the fingertips of its readers. Visit www.karenbrownauthor.com for more information or order here. © 2018 Velocity Leadership Consulting | All Rights Reserved.